The dsPIC33CK64MP105 (MP1) family extends the recently introduced dsPIC33CK family with a cost-optimised version for smaller memory and footprint applications, offering up to 64 KB Flash memory and 28- to 48- pin packages. 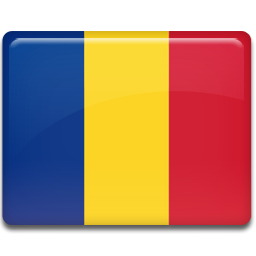 Package sizes are available as small as 4 mm x 4 mm. This compact device offers the ideal combination of features for automotive sensors, motor control, high-density DC-DC applications or stand-alone Qi transmitters. Both single- and dual-core dsPIC33C devices enable fast deterministic performance for time-critical control applications, providing expanded context selected registers to reduce interrupt latency and bringing faster instruction execution of math-intensive algorithms. All devices in the dsPIC33C family include a fully featured set of functional safety hardware to ease ASIL-B and ASIL-C certifications in safety-critical applications. Functional safety features include multiple redundant clock sources, Fail Safe Clock Monitor (FSCM), IO ports read-back, Flash Error Correction Code (ECC), RAM Built-In Self-Test (BIST), write protection, analogue peripheral redundancies and more. A robust set of CAN-FD peripherals, together with the new support for 150°C operation, make these devices ideally suited for use in extreme operating conditions such as under-the-hood automotive applications. 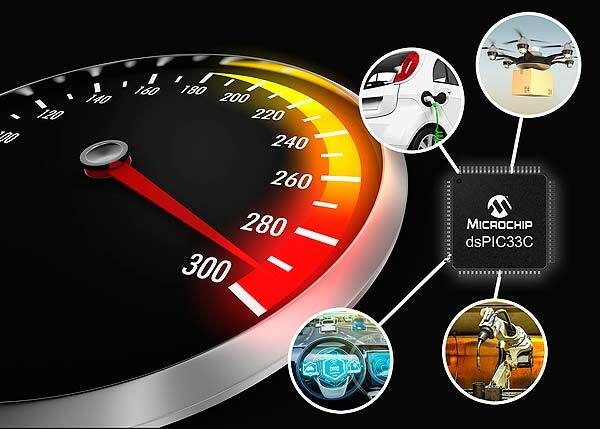 The dsPIC33C family is supported by Microchip’s MPLAB® development ecosystem including Microchip’s free MPLAB X Integrated Development Environment (IDE), MPLAB Code Configurator, MPLAB XC16 C Compiler tool chain and MPLAB in-circuit debugger/programmer tools. Microchip’s motorBench™ Development Suite version 2.0, now supporting high-voltage motors up to 600V, is also available to help customers tune motors using the Field Oriented Control (FOC) algorithm. A variety of development boards and Plug-in Modules (PIMs) are available for the entire family of devices. Development tools for the new devices include the dsPIC33CH Curiosity Board (DM330028-2), the dsPIC33CH512MP508 PIM for general-purpose designs (MA330046), the dsPIC33CH512MP508 PIM for motor control (MA330045), the dsPIC33CK64MP105 PIM for general-purpose designs (MA330047), the dsPIC33CK64MP105 PIM for external op amp motor control (MA330050-1) and the dsPIC33CK64MP105 for internal op amp motor control (MA330050-2). The dsPIC33CH512MP5 devices are available now in 48-/64-/80-pin TQFP, 64-pin QFN and 48-pin uQFN packages. The dsPIC33CK64MP1 devices are available now in 28-pin SSOP, 28-/36-/48-pin uQFN and 48-pin TQFP packages. The dsPIC33CH Curiosity development board is available now priced at $39.99 each. The dsPIC33C PIM development boards mentioned above are available now priced at $25.00 each.